Posted on April 6, 2016 at 11:08 am. 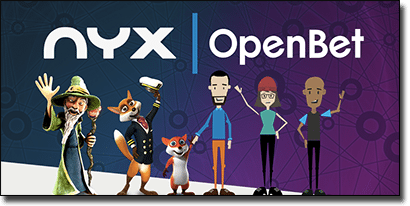 NYX Gaming Group have recently announced the acquisition of OpenBet for £270 million, a move which will see betting and gaming platforms combined. On Monday, April 4 NYX Gaming declared the acquisition of the market leading bookmaker, with William Hill and SkyBet backing the move with an £80 million and £20 million investment, respectively. The investment has also paid off the £95.4 million debt incurred by OpenBet. As part of the investment, William Hill has also engaged in a three-year development program with NYX and OpenBet “to further modernise OpenBet’s technology”. This is expected to “generate £10 million in EBITDA to NYX over that three-year period”. You can view more on this transaction by visiting the NYX website and reading the transaction overview. If you want to take a look at what NYX offers visit Guts.com and view the extensive catalogue including all of the NYX pokies and table games. Alternatively, we recommend Raging Bull Casino as our top-rated casino site for players from United States, which has some excellent welcome bonuses available for new players and an impressive range of real money casino games from leading software developers.